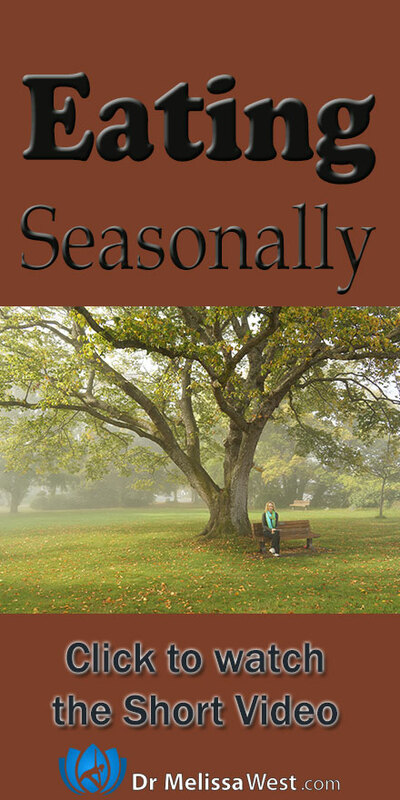 I notice very much how my diet changes with the seasons. I follow seasonal foods with veg boxes and what I harvest in the garden, but my instincts pick out different meats, dairy and grains at different times of year too. Are there different suggestions for the doshas as the year goes by, or should I follow my instinct? I’ve particularly noticed this Autumn has brought lethargy, which might be exacerbated by life circumstances too, but I’ve had this with a craving for red meats and leafy vegetables, and insomnia some days, meaning I’m wanting to be set in a more regimented routine during the day to try and rectify this. I have had blood tests to check for iron deficiency and other issues and already take Vitamin D supplements, but always notice the lethargy to some extent most years at this time, so wonder if there is a book I could turn to that I might follow throughout the year(I know you have a great library! ), or whether you even have resources here as well as the Winter series that might help. Thank you for a great question. I think the most important thing that we can remember here is to take our yoga off our mat (as we do with so many other things). So, the question becomes, how can I take the principles of how I do my yoga to eating? There is no better, best. Do what is right for your body, in this moment. From here I think we can remember the principles of yoga, (the eight limbs of yoga – and we have a whole Namaste Yoga Series on that and apply them to the yoga of eating. Remember, the eight limbs of yoga, simply allow us to remove what is unnecessary so that the wisdom that already resides within us will emerge. The first limb of yoga are the yamas. The yamas prepare us for our intent for action in thought, word and deed. Intent for action is incredibly important as we prepare for eating. It allows us to see clearly the choices we are making for ourselves and how they impact all living beings in the world in which we live. The first yama is ahimsa, non-harming. A yogi’s actions should not bring harm to any living being including themselves. Many yogis interpret this to mean living a vegetarian and vegan lifestyle and that is a beautiful, loving and kind way to live. I myself lived that way for more than a decade. However, due to extreme illness, I had to get clear about the violence that was being inflicted on my body and make choices that were better for me. See? No better, best. What is right for you in this moment. By being detached from any one way of eating I was able to make better choices for my body and ultimately be of better service to this world overall. The second yama is truthfulness, satya. This is about being honest with ourselves about how our food choices are affecting us in our bodies. Right now we are buying this delicious gluten free pancake mix from a wonderful bakery here in Victoria. It is so spongy and delicious. However, if I am honest with myself, whenever I eat them, I feel my energy get depleted. This is one example of being honest about how food affects your body. It is also an example of being detached from a way of eating; just because it is gluten free doesn’t mean it is health food. The third yama is asteya, or non-stealing. To me this is an important one to think about in terms of eating, especially in terms of eating animals. How can I make the most ethical decisions if I am going to eat animals and animal bi-products? The fourth yama is brahmacharya, which refers to the non-productive expenditures of energy. This goes back to my pancake example. It takes more energy for my body to digest those pancakes than I receive from eating them. On the other hand, when I take my teaspoon of fish oil each morning, my brain literally does a happy dance. Pay attention to the way your food affects your overall energy. Is your food giving you energy or taking it away. The fifth yama is aparigraha, non-hoarding. This is an important one in our culture of plenty. It takes an incredible amount of mindfulness to pay attention to the cues of our body. Often we will eat when we are not hungry because something is available and continue eating when we are full because it tastes good. It takes a lot of energy for our body to digest food when it doesn’t need it or when it is already full. Being aware of the cues of our body is paramount. As we move into the niyamas, the personal observances, these give us even more clues about how we can eat as a yogi. The first niyama, saucha, is such a great one when we think about eating as a yogi. To eat whole foods in their most natural form is a great way to practice saucha. In our culture of convenience it is easy to get sidetracked from this one. The third niyama, tapas, discipline definitely has its place when it comes to eating like a yogi. It takes time to prepare whole foods and make meals for yourself and your family. This can become a whole practice, one which many people in our fast paced culture don’t make time for. It takes discipline to carve out the time to prepare food. The rewards of this practice are as great as the rewards of your yoga practice. The fourth niyama is Svadhyaya, Self Study. This is what I was speaking about at the beginning, with the core principles. Nobody knows you as well as you. You are your own best teacher. You know what is best for you. Study you and your relationship to food. Figure out what works best for you. Don’t take the advice of experts as truth. Become the scientist in your own body and see if it is true for you. When you practice all of these things in relation to your eating you will experience the fifth niyama, Isvara Pranidhana, a closer union with the divine within and all around you. The third limb of yoga is asana. Ask yourself, how is what I am eating affecting my yoga practice? Am I experiencing more ease and steadiness in my postures based on what I am eating or is there unsteadiness in my postures. Some examples, stimulants such as caffeine and sugar might take away from ease and steadiness. The fourth limbs of yoga is pranayama . Ask yourself, how is what I am eating affecting my breath? One thing that has been working for me in my diet is to increase my good fats. I tried adding in cheese from farms with happy cows. This does not work for me at all. It creates a mucous lining in my nose that makes my breathing obstructed. See what I mean about being a scientist in your own body and doing what works best for you? The fifth limb of yoga is pratyahara. Yoga teaches us the appropriate use of our five senses. For example if we relied solely on our sense of taste to eat, this would be a mistake. Our mouth hunger is insatiable (for more on this check out our Mindful Eating Workshop. Pratyahara teaches us to be aware of our senses and how to control them in the yoga of eating. The sixth limb of yoga is dharana, gentle contemplation. When we focus on what we are doing in a gentle and kind way, then we can know how it affects us. Bringing this level of mindfulness to eating is a gift. The seventh limb of yoga is dhyana, continuous meditation . This level of mindfulness around our eating is not something we do once and then forget. It is like brushing our teeth. It is something we do every time we eat. Our eating can become a space of continuous meditation and gentle contemplation. The final limb of yoga is samadhi, bliss. When we bring all of these tools of awareness that we have as yogis through the eight limbs of yoga to food, we can improve our relationship with food. In addition to the eight limbs of yoga I feel it is important to point out two key tools on the spiritual path. Detachment and discernment. The diet industry is a 60.5 billion dollar industry in the US in 2014. Writing a book or a method with instructions on how to eat means big money. Remember, that people are making money every time they give you a set plan on how to eat. This is not to say that there is not valuable information out there. But go back to the first three points that I mentioned. Secondly, it can become easy to get attached to our identity even in terms of the way we eat. For example, I am vegan, I am gluten free, I am sugar free. I am paleo. I am a juicer. I only drink green smoothies in the morning. These become badges of honor. I have learned that it is important to be detached from “isms” and labels. This allows you to be open to what is actually happening in your body moment to moment and respond appropriately. That is detachment. I know this has been a long post, but two more things. 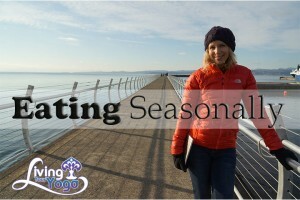 Number one, Linda Dubbeldam and I are hosting a webinar on Eating Seasonally in Fall that will be bringing these principles of eating mindfully in the seasons to life this Wednesday December 3rd at noon PST. We would love to have you with us. This webinar is exclusively for members. I know this is a lot to absorb. The tools are here, but perhaps it would be helpful for Namaste Yogis and Members to be taken through this process in a 10 week online course with yoga classes, meditations, online forum and weekly meetups? I have been thinking about putting together a course like this for some time. Something like Eating Like a Yogi. Let me know in the comments or respond if that is something that would be of interest to any of you.